Before he ever was the star of children's television, Thomas the Tank Engine appeared in short stories in The Railway Series books in the mid-40s. Or did he? 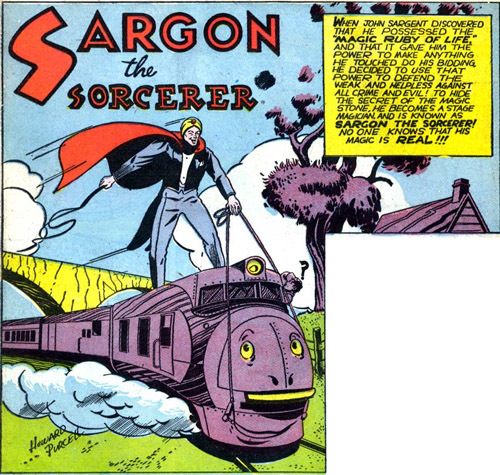 Look at this Sargon the Sorcerer story from 1941... did the mystic superhero actually give Thomas life? Or was an anthropomorphized locomotive always an inevitability? But Sargon, is the whip REALLY necessary?